In this week's Abundance Insider: Kroger's autonomous delivery pilot, robot stunt doubles, and self-learning robots. What it is: For almost 60 years, Disneyland has used animatronic figures -- dynamic robots that bring beloved characters to life. But Disney’s newly launched (literally) Stuntronics are a whole new ball game. Initially built out of a small research project called Stickman, Disney Imagineering’s Stuntronics are fully autonomous, self-correcting aerial performers designed to fly across Disney parks, striking heroic poses and following perfect trajectories to stick the landing every time. Geared with on-board accelerometers and gyroscope arrays, these robotic 'stuntpeople' can be flung into the air like trapeze artists, controlling rotation and center of mass with remarkable precision. What it is: Grocery giant Kroger and autonomous vehicle startup Nuro have announced a partnership to change the face of grocery shopping, making same-day delivery affordable and accessible for everyone. 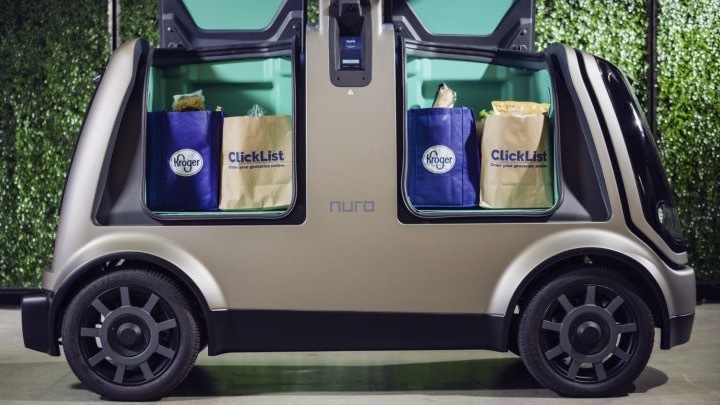 Customers will utilize Kroger’s “ClickList” ordering system and Nuro’s app to set up delivery via Nuro’s fleet of fully autonomous vehicles. The pilot market will be named soon, with deliveries expected to begin in the fall. What it is: A new material (nickel hydroxide-oxyhydroxide) that can change shape and exert a force of over 3,000 times its own weight has been developed at the University of Hong Kong. The material can be stimulated to undergo its shape change by low-intensity incident light or electric current, as well as small changes in humidity and heat. Stimulation by light, heat and humidity can be carried out wirelessly -- making this material ideal for artificial microrobotic muscles. Since nickel is the bulk element of the material, the material is low-cost and easy to fabricate. What it is: United Therapeutics 3D-printed a replica of an upper human airway. The windpipe plus two bronchioles were printed out of collagen -- biology's cement-like structural material. Right now, using stereolithography techniques (basically using light to selectively cure a polymer that reacts to light), the printer can print details that are on the order of 20 micrometers. For context, functional lungs require detail of less than one micrometer. While collagen lungs are not useful for organ replacement, United Therapeutics is working to embed lab-grown lung cells into a matrix of the collagen lung structure. The company plans to one day be able to print lungs and other organs en masse, bypassing organ shortages and the need for organ donors. What it is: If we can sample food and try on clothing before a purchase, why not test-drive a city before committing to a flight? Enter Kayak VR, a virtual reality platform that lets you explore a city and learn about its most treasured landmarks from the comfort of your living room. 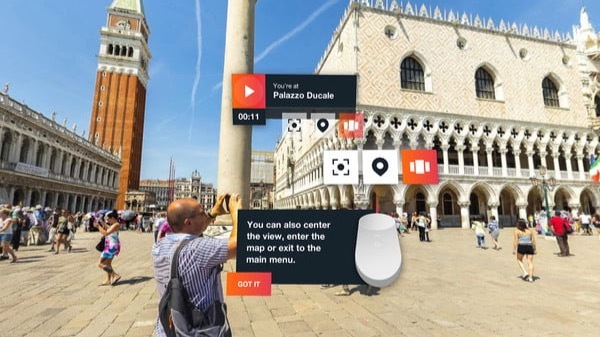 Accessible through Google’s Daydream headset, Kayak VR is currently piloting two cities -- Venice and Kathmandu -- providing travel tips and trends, audio tours on landmarks, exploration of local hotels, and a sense of the real scale (and crowdedness) of a given destination. Perhaps one of Kayak VR’s more remarkable features is the app’s stereophonic sound option, adapting its audio tour to your visual focus within a given scene. What it is: Scientists at UC Berkeley have developed a robot that can mimic an action purely by observing a person perform the task a single time, live or in video. By combining an imitation algorithm to allow it to pick up new skills with a meta-learning algorithm to incorporate prior tasks and movements, the robot is able to perform actions like pushing cups toward a target or pick up fruit and put it in a bowl.